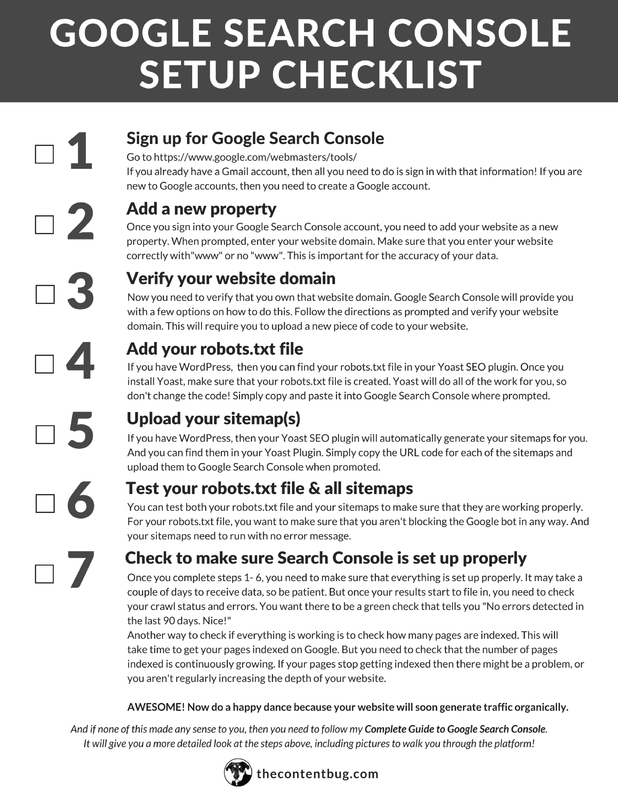 Enter your information to get the Google Search Console Setup Checklist! Let's do this! Head over to your inbox to receive your free download! I won't send you spam & you can unsubscribe at any time. I promise!